WDRB is the number one local news source in Louisville providing news from the strongest journalism team. We cover Louisville Weather, News, Kentucky and Indiana news, headlines, weather, traffic, and sports. Catch Louisville Cardinals news, the Kentucky Wildcats and much more. Our app offers weather radar, alerts, story submission and other features that makes it easy to get news on the go. To download click the link for your device. WDRB's award-winning newscasts are now available on your favorite streaming devices. Click the icon to find out more about WDRB's Roku App. 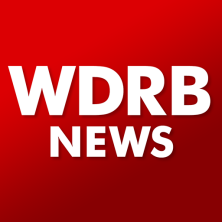 To download it, just search for "WDRB Now" in the Roku store. Click the icon to find out more about WDRB's Apple TV App or search for WDRB Now in the app store for Apple TV devices. Note: requires tvOS 9.0 or later. Click the icon to find out more about WDRB's Roku App. You can download it from the Amazon app store from the device.